The ongoing Operation Python Dance II in Umuahia, Abia State has reportedly claimed the life of a relative of IPOB leader, Nnamdi Kanu. 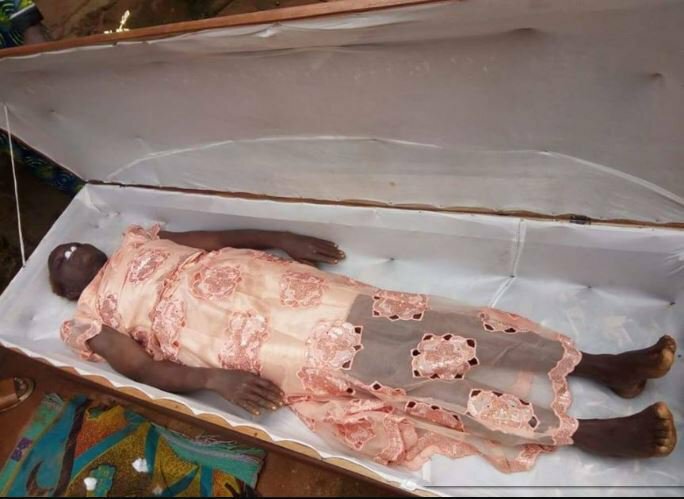 The grave of the leader of the Indigenous People of Biafra IPOB, Nnamdi Kanu’s cousin (Adaku Odemelam) is getting set ahead of her burial today. The lady was among the victims killed during the military invasion in Umuahia, Abia state. She was allegedly hit by a stray bullet during shootout by soldiers on 14th of September 2017. Her grave is being dug near the residence of the IPOB leader at Afaraukwu in Abia state.